We've all been there before, staring at a screen with no idea what to do - and now there's another update that's just come out. Whatever the iPhone-related task - and whatever your technical ability - Fundamentals of iPhone X is here to help. In this guide, Kevin walks you through Apple's smartphone one step at a time. 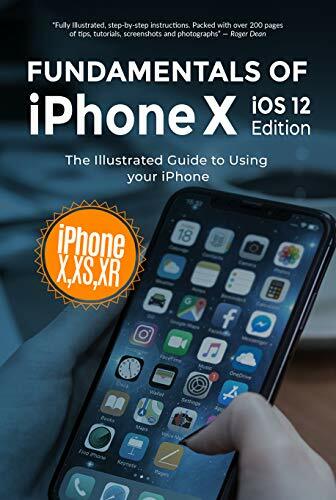 Packed full of tutorials, illustrations and photographs to help you, we'll go through setting up your iPhone and upgrading from iOS 11, with a look at features introduced in iOS 12. We'll take you through your iPhone's controls and features with a look at the dock, icons, menus, touch gestures, tap, drag, and swipe. A bit of multitasking with app switcher, as well as the new control center and how to use it. You'll be browsing the web with Safari, sending emails, placing calls with the phone app, FaceTiming your friends and family, as well as sending digital touch messages, using Animojis, Memojis, and peer to peer payments with iMessage. We'll take some live and panoramic photographs, record videos then see how to enhance, mix and share your magic moments.